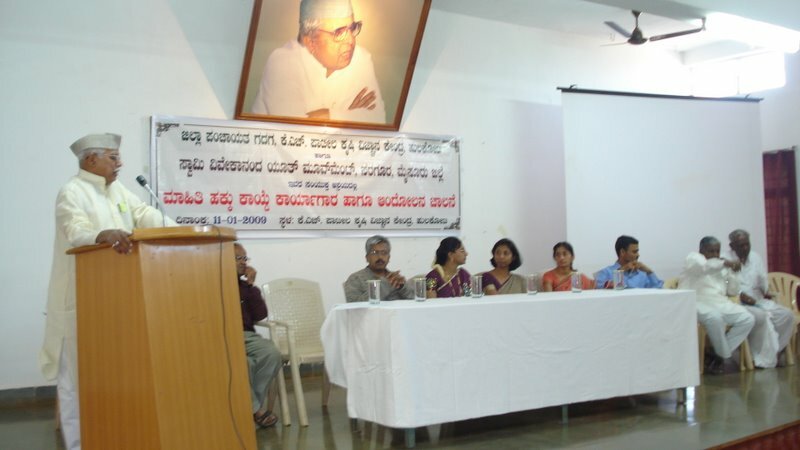 A workshop on ‘Right to Information Act’ was held on 11-Jan-09 at Hulkoti in Gadag District, under the aegis of K.H.Patil Krishi Vignana Kendra. The objective was to sensitize people about the importance and various applications of the Act. 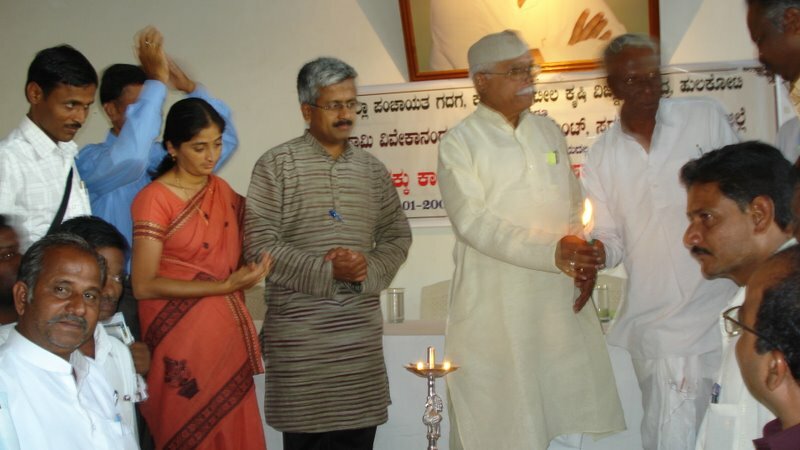 Dr.R.Balasubramaniam, Ms.Poshini and Mr.Shekhar participated as Resource Persons. About 400 people attended the workshop. An ‘Information Movement’ was also launched for using the RTI act to good effect to bring about transparency and accountability in the Govt. administrative machinery. Mr.D.R.Patil, ex-MLA of Gadag was present on the occasion.